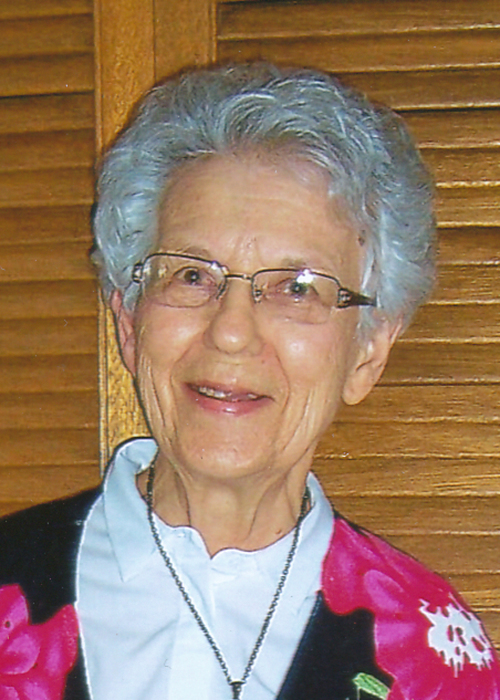 With sadness we announce the peaceful passing of Leeta Knowles on Tuesday February 5, 2019 at Portage General Hospital at age of 88 years. Left to cherish Leeta’s memory are her son Kelly (Pat) Knowles and grandchildren Amy and Katie Knowles and Reaghan Addison, her sisters Irene Sitoski and Joan Cook and sister-in-law Bernice Stephans, as well as extended family and friends, including Ross’ children Gloria Hansen, John (Lois) Knowles and Cam Knowles. Leeta was predeceased by her beloved husband Ross Knowles, parents John and Mary Stephans, sister Olga Mary Roy, and brother Mike Stephans. A Celebration of Leeta’s Life will be held at McKenzies Portage Funeral Chapel on Saturday, March 16, 2019 at 11 am with Rev. Beth Kerr officiating. The family invites you for a time of visitation and refreshments immediately following the service. Private interment will take place at Hillside Cemetery at a later date. The family wishes to express gratitude to Dr. David Kinnear, Dr. Brett Finney, Dr. Pat Harris, all her special nurses and support staff in Chemo and most recently on the Medical Ward, as well as Homecare Services. Leeta loved all the nurses and health care aides who came to her home daily. Also, thank you to Portage Services for Seniors and all her drivers. And a special thank you to her dear friends Chris Chapman and Suzanne Zahara. If friends so desire, donations may be made in Leeta’s memory to Central Plains Cancer Services, 318 Saskatchewan Ave. E., Portage la Prairie, MB R1N 0K8, or the Heart & Stroke Foundation of Manitoba, 1379 Kenaston Boulevard Winnipeg, MB R3P 2T5.